Young adults, particularly those with college educations, tend to migrate towards places that offer the most economic opportunity, while areas with less vibrant economies often experience a loss of talent, skills, and young adult workers. The result of this migratory trend is an increase in the median age. The median age in the Mountain Resources Commission (MRC) region is 41.6 years old – 12.4 percent higher than the statewide median age of 37 years. Clay County has the highest median age of any county in the state, at 49.5 years old, and Polk County has the second highest median age in the region, at 48.9 years. 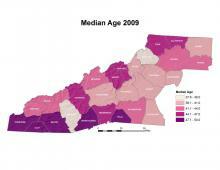 The median age for the region is also increased by the recent influx of retirees and baby boomers. 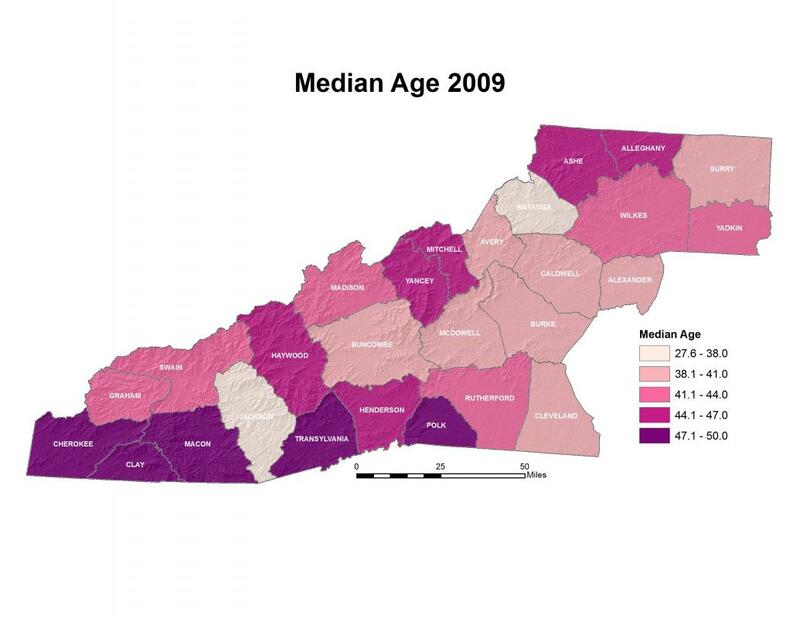 Only two counties in the region have a median age lower than that of the state – Watauga County, home of Appalachian State University, has a median age of 27.6 years, and Jackson County, home of Western Carolina University, has a median age of 36.8 years.